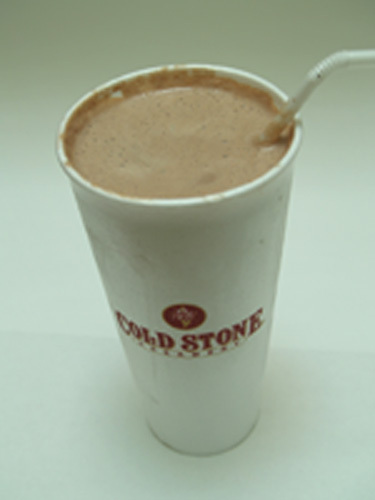 A magazine in America has announced that the Cold Stone PB&C Milkshake has a whopping 2010 calories, 68 grams of saturated fat and 153 grams of sugar in it. This is the equivalent, I read oddly in a Gulf newspaper, of 68 strips of bacon or 30 chocolate chip cookies. I want one immediately. It must be amazing, even if it means you can’t eat anything else for a week to make up for it!